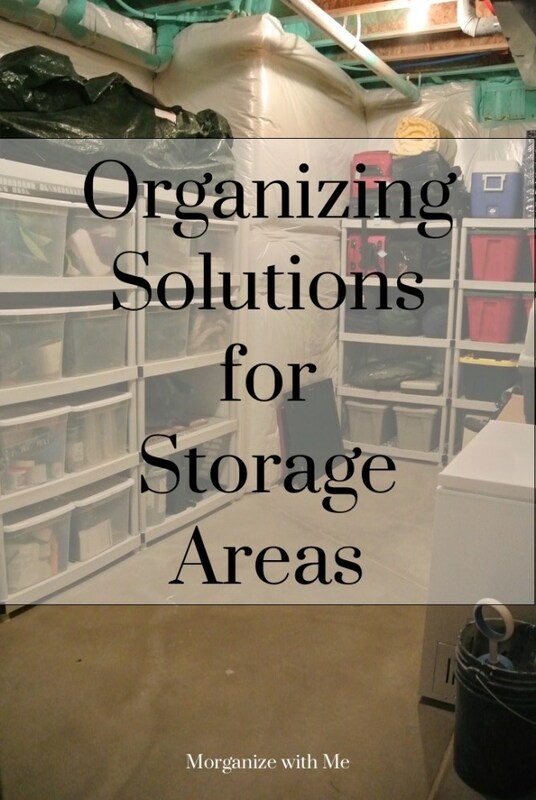 The following is a guest post on some great organizing solutions for storage areas from regular contributor, Morgan from Morganize with Me. About a year ago, we started finishing our entire (unfinished) basement. I’m happy to announce that the basement is now done and we are enjoying our new family room, bedroom, home gym, bathroom, and storage room. 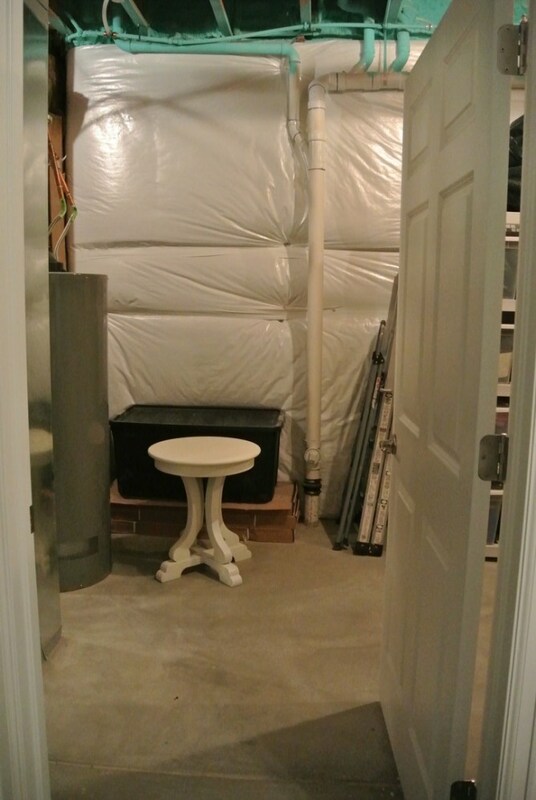 Before this remodel project, our entire basement was our storage space. Therefore, once it was finished, I had to rethink how to use our reduced storage space. I’m going to give you a little tour of the storage space as it stands today. The lighting isn’t the best (it is the basement) but I’m going to share some valuable tips with you. I see time and time again my clients struggling with their basement and storage options. 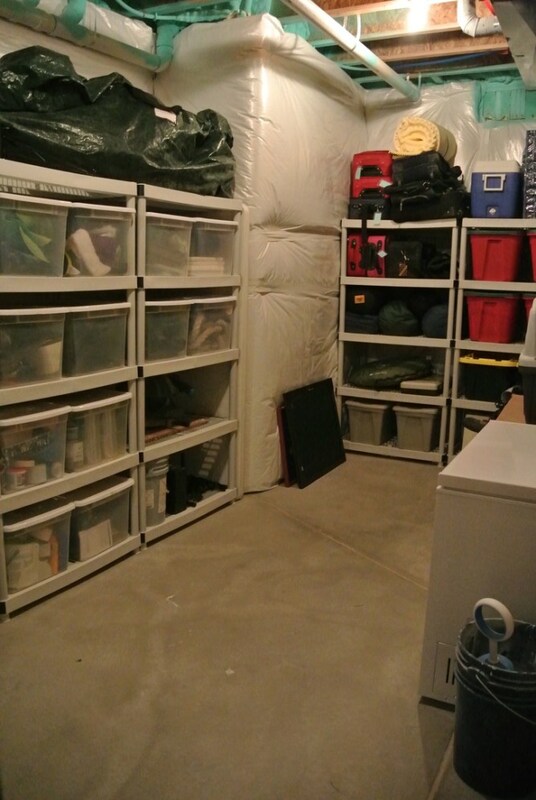 I hope to provide you with some easy to implement basement and storage organizing solutions. Welcome to our storage room, come on in! You enter the storage room from our home gym. 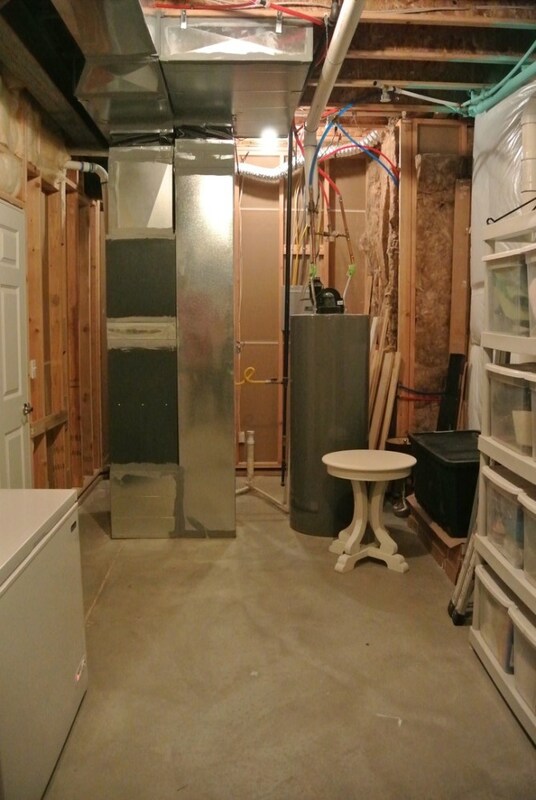 The storage room will remain unfinished as it is also the location for exciting things like the furnace and water heater. Straight ahead is a table that I’m not sure if we’re actually going to keep, left over flooring, and our step stool, ladder etc. Then you’ll see our storage shelves and freezer. I love that we were able to tuck our freezer into this space. Tip #1 – Use the same size storage shelving. Selecting coordinating shelving makes it simple to line things up in an orderly manner and allows you to maximize space and storage. We purchased these shelves (four in total) from Home Depot. They work great as you can move them as needs change and they easily hold up to two 64-quart bins side by side. These shelves help to keep this room organized and functional. Tip #2 – Use matching storage bins to group like items. I opted for Sterilite clear bins on this shelf and added labels. Every bin is organized by a “theme.” This way, when I’m looking for paint supplies, I only have to check one place. Or if someone wants to find a Halloween costume, they only have two bins that they have to sift through. On the other shelf we have four bins for Christmas (in case you couldn’t tell), two bins for my husband’s work things, and two bins for camping. Because these are all color coded I don’t label them. Then the other available shelves are used for loose items like sleeping bags, coolers, and luggage. Tip #3 – Use vertical space. Vertical space is often overlooked. 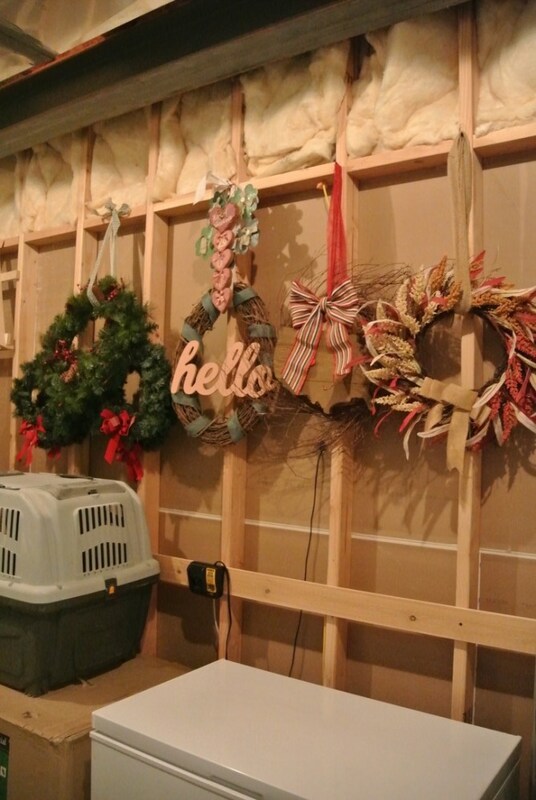 This can mean adding more shelving up high or simply adding nails to hang up wreaths or decor like I did here. Like I’ve heard it said…if you can’t go wide, go high! 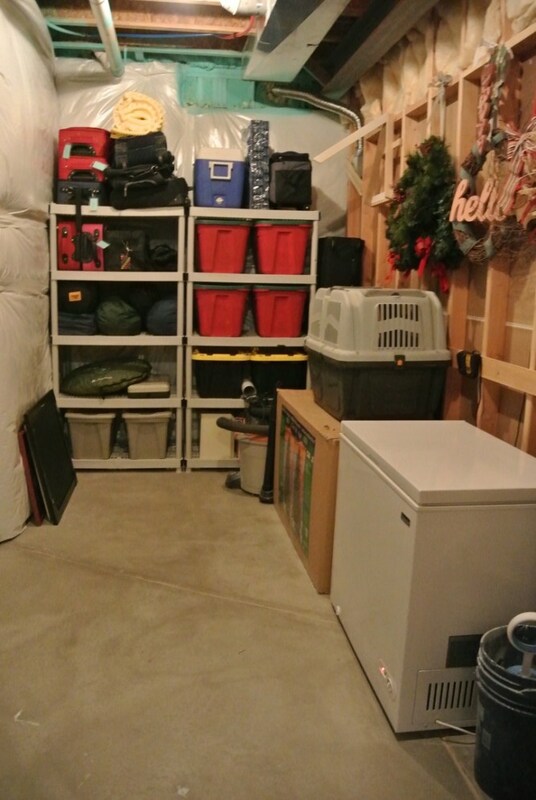 Use these three tips for any basement or storage space you want to better organize. 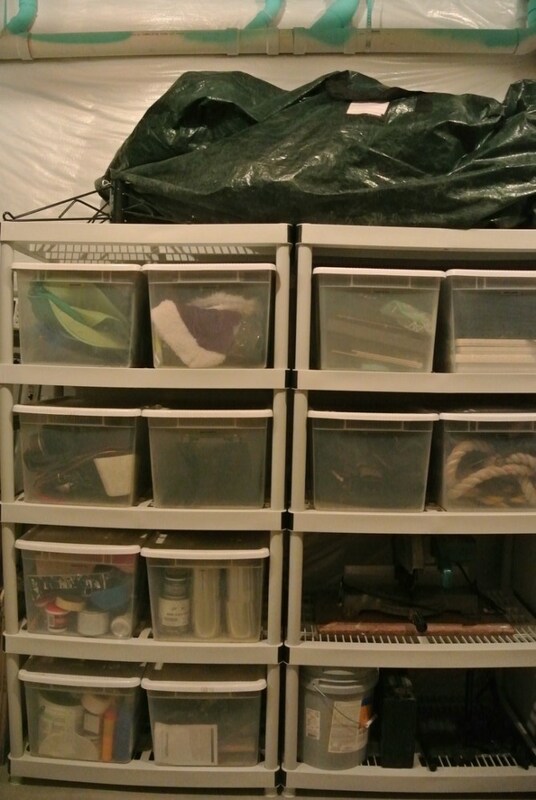 It’s small organizing solutions like this that can help to keep a space streamlined. 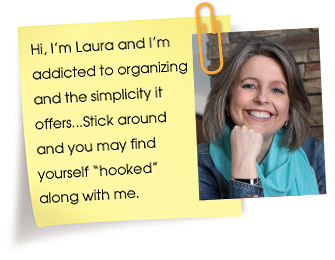 The goal of organizing should be to find what you need when you need it. When I hang wreaths, I put a plastic bag over them and label the outside so I jnow which season it is for. Also, for all storage I have a chart so I kniw what is in each bin. The outer box may say Halloween but I have a list to show it contains hapkins, tablecloth, etc. As this is in the basement and we just wirnessed flooding in NC, perhaps having a list online would facilitate insurance reinbursement. The plastic bags I store my wreaths inare oversized Ziploc bags (so I can see through them and know what is in them). The oversize bags have handles that I hang them by.